The central part of Fort Tigné. The restoration works at Fort Tigné and Fort Manoel being undertaken by Midi plc have reached a very advanced stage with all the main interventions at the fort now complete, the internal works to the barracks and casemate blocks at Fort Manoel drawing to a close and the reconstruction of the chapel of St Anthony of Padua well underway. Any visitor to the site will be able to spot the difference in the state of the two impressive forts that were lying derelict, vandalised and, in some cases, in danger of collapse for decades up until the commencement of works. St Luke's chapel and the clock tower block at Tigné were the first sites to be restored and these have been followed by extensive works on both Fort Tigné and Fort Manoel. "The quality of restoration is very high and I am not saying this just because we are the monitors. In fact, our job is to split hairs continuously. We make sure that no damage is caused and, if any is found, we try to rectify it but, at the same time, we also try to alert the authorities if something happens. "So, essentially, from what has been uncovered, nothing has been lost. It has been retained, it has been restored and it will shortly be opened to the public." The façades of the former sergeants' mess, the school and the clock tower block (previously the regimental institute) have been preserved for posterity. These buildings were dismantled stone by stone, individually numbered and re-erected to form a memory screen, integrating with two new buildings that went up behind them. Mr Farrugia explained that this was one of the first instances when such a procedure was followed in Malta at the site of a new development. "Where the stones were eroded they were replaced. More stonework from the surviving façades of the older barracks previously in the area has been preserved, put in storage and will be used to form part of the façade of the retail centre on the other side of the piazza." The Garden Battery, a British-period coastal defence system, had not formed part of the original restoration obligations but Fondazzjoni convinced Midi to take on the onus of keeping it. "The fact that a developer actually consented to save something that was not even indicated in the original outline plan is probably a first in the heritage field in Malta," Mr Farrugia said. "I am very proud of this achievement because it also showed that we have matured quite a lot. "The preservation of the Garden Battery involved a lengthy process because the road passing beneath Tigné Point had to be accommodated below the Garden Battery - an engineering feat in itself - and the whole of the Tigné north master plan had to be revisited. Buildings earmarked for the site had to be redesigned and the developer had to forfeit the area of and beneath the Battery (that would have been used for parking) - at a cost of over €3.5 million." Fort Tigné used to be the site of a desalination plant and, earlier, when it was a military installation, it was closed to the public. The parts of the fort that were severely damaged were reconstructed from scratch and the decay caused by years of vandalism and disuse has now been repaired. The new masonry looks lighter in colour compared to the old, weathered stonework, but this will blend in by time. "The whole idea of restoration is to give a building back its past grandeur. In the case of modern buildings, where you have documentation and architects' plans, this is relatively easy to do," Mr Farrugia explained. "With ancient monuments, it is very difficult because you have little or no records. The whole idea was to bring Fort Tigné back to its original proportions and, essentially, as close as possible to what it would have been." Another aspect of the restoration programme, which was also not part of the original obligation, was the building of a replica staircase leading from Fort Tigné down to the foreshore. Once the fort is opened to the public this will form an integral part of the link to the foreshore and adjacent walkways, enabling people to walk all around the peninsula facing Valletta and access the rocky waterfront. On Manoel Island, apart from the restoration of the fort and its surrounding bastions, works are underway to rebuild the bombed-out chapel dedicated to St Anthony of Padua, situated in the parade ground. Although the final use of the building has yet to be determined, the chapel will be built so that it will look exactly like it did in the 18th century, particularly when viewed from Valletta. An application for the restoration of the Lazzaretto complex on Manoel Island was submitted to the Malta Environment and Planning Authority in 2005 and, as soon as the relative permits are issued, work on this third major heritage structure will also start, a spokesman for the developers said. Mr Farrugia concluded: "I have been doing this work (acting as a heritage monitor) for almost 25 years now and I can tell you that the challenges the developers faced on the two sites were enormous and the amount of money that has gone into the two forts is also, proportionately, enormous. 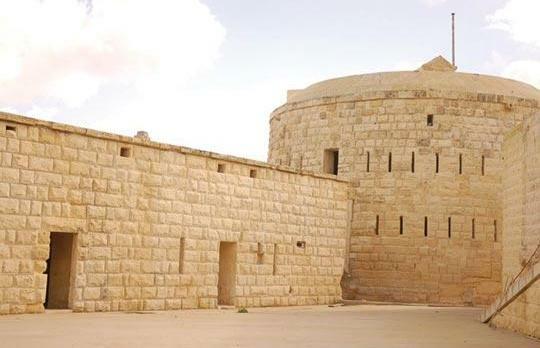 Had it not been for this, both forts would never have been tackled and restored and, now that they have, the Maltese public is going to have its cultural and historic inheritance returned in a much better state." St Luke's garrison chapel, the clock tower block and school façades, Fort Tigné structural (Tigné Point). Polverista, the road bridge, the gun emplacements (Fort Manoel). The casemates, barrack blocks (Fort Manoel). Ditch, coastal gun emplacements and glacis (Fort Tigné). Garden Battery (Tigné Point), chapel of St Anthony of Padua (Fort Manoel). Fort Manoel parade ground, guard rooms and Couvre Porte. Fort Manoel Phase II - bastions, ditch and outer works, fuel tanks, Lazzaretto quarantine establishment, quarantine cattle sheds, Customs House, St George's cemetery chapel, Destroyer Depot - new canteen, boat builder's workshop, cyclorama.